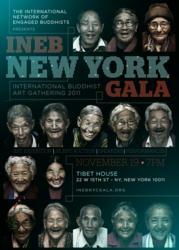 New York, NY (USA) -- The International Network of Engaged Buddhists (INEB) invites socially engaged art lovers to the first International Buddhist Art Gala at Tibet House in New York City on November 19, 2011 to raise funds for important INEB human rights and peace-building programs in Asia. The International Network of Engaged Buddhists invites socially engaged art lovers to the final art exhibition and evening gala celebration of the International Buddhist Art Gathering 2011 on November 19, 2011 at Tibet House in New York City. The INEB Gala offers an elegant evening of live music, cultural dance performances, and a special exhibition and silent auction of Buddhist artwork by esteemed artists from around the world, including Lowell Boyers, Songdej Thipthong, and Steven P. Perkins. Speaking at the gala are honored guests Sulak Sivaraksa, the co-founder of INEB, and American Buddhist Bernie Glassman, founder of Zen Peacemakers and Greyston Foundation. Ajahn Sulak’s latest publication, "The Wisdom of Sustainability", will be available for purchase and autograph from 8-9pm. 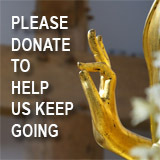 Tickets to the gala are $20 in advance or $25 at the door, and all proceeds from the gala and silent auction contribute to INEB social and peace-building programs in Asia.The gala silent auction is open for public, international bidding at 32Auctions, featuring original Buddhist art, exotic jewelry, and other rare finds. In 1989, the International Network of Engaged Buddhists (INEB) was established in Siam (Thailand) by Sulak Sivaraksa, other thinkers and social activists, Buddhists and non-Buddhists. Over the years the network has expanded to include members, both individuals and organizations, from more than 20 countries across Asia, Europe, North America and Australia. 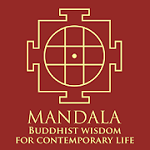 From this diversity, an understanding of socially engaged Buddhism has emerged which integrates the practice of Buddhism with social action for a healthy, just and peaceful world. Find out more about how you can support INEB activities and purchase tickets to the INEB Gala at http://www.inebnycgala.org. Tibet House is located at 22 West 15th St, NYC 10011.